I've always been a massive fan of Ben Henry. He's always come across as a real likable character in the game, a well spoken, intelligent young man who not only had a big future in the game, but a big future in his post footy life as well. As i watched the Round 1 clash live i saw Ben go down in back play as the cameras continued to follow the game. Very quickly i felt my heart sink as i thought i saw him clutch at his troublesome knee, yet as quickly as i felt fear for him i began to feel that briefly fade away as the commentators seemed to not be talking about him down in back play as the game continued. For a brief moment i hoped that the lack of commentary regarding what i saw, or thought i saw, was hope that i was worried about nothing and it was merely a knock he had copped. Then just like that, it was brought to the viewers attention that Ben had injured his knee again. I felt completely heart broken for the guy. As i watched him being helped from the field i could feel myself having to fight back the tears. I had knots in my stomach that made me feel sick inside, as a fan, if there was some way i could take the injury for him and let the guy have a break i would have done so in a heart beat. I think most of us knew we wouldn't see the man we affectionately refer to as Benry return to a footy field but we all hoped for a miracle. From a young age Benry was touted as being a future Captain of the Warriors 1st Grade side and for good reason. He basically possesses all the qualities that forge the greatest captains. Hardest Workers: He's one of the hardest workers on the training paddock, during games and also outside of footy. The greatest leaders often speak louder through their actions more so than their voice. Ben was in the same mould as Simon Mannering in this regard. Encouragement: He's always one of the first to offer encouragement to his team mates. While some players turn to yelling and screaming to get the point across when a player is guilty of an error, it takes a special knack a man must possess with people to be able to get your point across in a calm manner while making your displeasure known and picking up a players confidence in the same breath. Honesty and Trustworthy: Without trust there is little to no respect. A leader follows through with their commitments and are both responsible and reliable. Ben has always come across as being an up front kind of guy and his honesty and trustworthiness seem to be second to none. Respect: Everything i have seen from Ben suggests he treats team mates, coaches, referees, sponsors, fans and opponents with respect. I have never heard him make questionable remarks about any of the above and always shows a respect to all. As a young man possessed with an abundance of natural talent, i've not once seen or heard him talk about himself in a way that places him on a higher pedestal to others. A humble man who talks of others as equals. Courage and Passion: For a guy to come back from as many injuries as Ben has in such a short period of time shows both courage and passion. A lesser man would have given up much sooner but the courage to overcome and the passion to be able to once again put in a positive effort for the boys on the park, saw him keep fighting to be back to 100%. A leader will also display that they want what's best for the team. 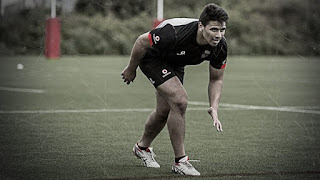 Ben probably could have got himself back on the field eventually, but he knew he could no longer offer his best and potentially held a young bloke coming up through the ranks out of the side in the progress, as well as taking up vital salary cap space as he overcame his latest setback. Being the humble guy he is you wouldn't hear him say it, but his early retirement was not just through his injury and his life after footy but was also a call made based on what he thought was best for the team that he loves. Compelled to Win: It's no surprise that the NYC Warriors outfit enjoyed some of its more successful years with Henry as captain. A burning desire to win by a captain leading a group of young men proved to be the edge the Warriors had over their competition in 2010 and 2011. At just 20 years of age Benry enjoyed his first season in 1st grade. Although the results might not have been the same as he was used to in NYC, that desire to win and to succeed saw him shine during his rookie season and was awarded with the New Zealand Rugby League Rookie of the Year award for his efforts. With a career life-span in the NRL on average lasting roughly 40 games over a 3 year period, Ben was lucky enough to squeeze in a few more than the average player over a 5 year period in 1st Grade, albeit disrupted by injury. His career may have been cut short but he certainly provided plenty of memories for himself, team mates and fans. 2009: At just 17 years of age, was selected to play for the Junior Warriors in the NYC. 2010: In his second season in NYC, Benry was named captain of the side. He lead them to 2 straight Grand Finals although was forced to sit out the 2010 triumph due to injury. 2011: When he finished his NYC career he held a record of playing 64 games. Round 1, 2012: 1st Grade Debut vs Manly. Round 6, 2012: First try in 1st Grade, coming against the Raiders away from home. June 12, 2012: Contract extension until 2015. The Football Gods decided to be cruel to Benry in Round 1 of 2016. A man blessed with natural ability, with such a passion, so much potential and determination, pride and belief within him to succeed, to be struck down by so many injuries does not seem fair. We see on a regular basis players basically just throwing the gift they have been blessed with down the drain due to not appreciating just how lucky they are. In a fair and perfect world it would be those players struck down by injury while players who wear their hearts on their sleeves, just like Ben Henry, would go on to play a long and successful career. "While there have been setbacks I'm still so grateful for the opportunities rugby league has given me. To be able to play for the club in the NYC and the NRL as well as making my Test debut for my country has been a privilege. "I've played alongside so many great players and I'll always cherish those times. I want to thank all the team-mates and coaches I've had for being there to support me through the good and bad times. "This isn't the way I planned it but now I have made this decision I'm ready for the next phase of life after football." Even when faced with the reality of being cruelly forced into early retirement, Benry still manages to not only tell those who helped him along the way how grateful he was, but made sure he thanked players and coaches for their support through the good and the bad. Many a player would make these sorts of things about themselves, and rightly so, but Ben Henry being the humble man he is chose to not make the interview solely about him but instead chose to include those people who have been involved in his progress throughout his career. I have never met the guy (although one day i hope to get the chance), but there is no denying that Benry is nothing short of a perfect gentleman and a person that we could all learn from. A humble man with a big heart and an inspiration to many. 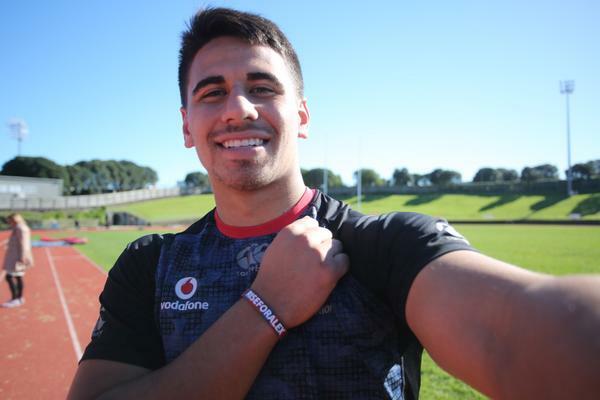 Ben Henry, Warrior #171, I thank you for all you have done for the NZ Warriors. I thank you for the blood and the tears you shed while wearing the Warriors jersey with pride and i thank you for being such a positive and outgoing face of the club. I wish you all the best for the future mate.